Which piriformis syndrome test is most accurate? Do any of the most commonly used diagnostic practices actually provide solid evidence of the condition or is piriformis syndrome just another highly subjective diagnostic conclusion? These are important questions to answer and we will do just that during the course of this critical essay. Piriformis syndrome is a nerve compression condition wherein the piriformis muscle, located deep in the anatomy of the buttocks/hip region, is thought to be impinging on the sciatic nerve (most commonly) and/or the pudendal nerve (rarely). Since these are both very important nerves that provide innervation for vital areas of the anatomy, it is understandable that compression of one or both of these tissues will potentially enact serious symptoms. However, there are many other causes of identical symptomatic activity, so how exactly is the piriformis found to be the true culprit, especially when other existing conditions might also explain the pain? This dialog explores the accuracy of a variety of piriformis diagnostic tests. We will detail the problems with piriformis syndrome diagnosis, as well as provide tips to improve your results during the diagnostic process. 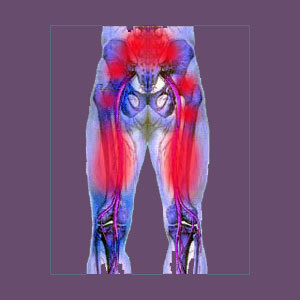 Piriformis syndrome can be diagnosed using various forms of advanced imaging technology. Standard MRI is of some use in the diagnostic process, since it can generally determine if a structural abnormality exists in the muscle or if there is atypical positioning of the sciatic nerve in relation to the muscle. Both of these factors increase the chances of suffering from piriformis syndrome, but neither is inherently the cause of the condition. Standard MRI is most helpful in ruling out other potential sources of sciatic nerve symptoms, such as spinal stenosis or lumbar herniated discs. However, even MRI is often inconclusive for some other sources, like sacroiliac joint issues and is completely useless for other causations, such as diabetes. Magnetic resonance neurography is a special form of MRI that provides more information on the path and functionality of the sciatic nerve, helping to determine if the sciatic is indeed suffering reduced or atypical signal after encountering the piriformis muscle. X-ray and other forms of imaging are not overly helpful in diagnosing any type of piriformis pain syndrome, so these are usually excluded from the recommended tests. There are several primary manipulation, range-of-motion and pain elicitation practices that can be used during testing for piriformis syndrome. The most common and reliable of these evaluations is the Fair Test. Other popular variations include the Freiberg Test, the Pace Test and the Faber Test. All of these practices are very subjective and provide little objective evidence of sciatic nerve compression caused by the piriformis muscle. However, when several of these methods are used in combination with one another, the results can enjoy improved accuracy over any single evaluation technique alone. Typically, positive readings in these tests might indicate piriformis syndrome, but may still be caused by other possible origins, as well. We can tell you for sure that the diagnostic processes for any piriformis pain condition are far from perfect. None will provide conclusive evidence enough to make a verified diagnosis and some evaluations will be completely inconclusive. It is for this reason that the entire piriformis pain diagnosis remains highly controversial in traditional medical circles. In order to optimize the efficacy of testing practices, we recommend undergoing a combination of FAIR Testing and magnetic resonance neurography, as well as any other practices that you might have access to from your caregiver. The more evidence of piriformis involvement that can be determined, the better the accuracy of the diagnosis typically will be. Remember that there will never be a 100% sure case of confirmed piriformis syndrome, as there is simply no definitive test to verify the diagnosis in every patient. However, by using all the tools at your disposal, you can at least maximize your odds for a correct and plausible diagnosis and not fall victim to misdiagnosis, like so many of your peers.